An estimated 8 millions tons of trash are dumped into our ocean each year. While a staggering statistic, the Hawaii-based nonprofit Sustainable Coastlines Hawaii is working hard to reduce the amount of trash entering our waterways. 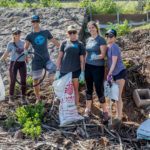 Sustainable Coastlines Hawaii tackles coastal pollution through a combination of beach cleanups, education, and outreach. 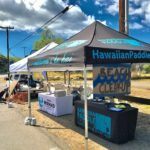 Designated as February’s nonprofit of the month, Sustainable Coastlines Hawaii was joined by team members from Hawaiian Paddle Sports, Maui Kayak Adventures, and Maui Stand Up Paddle Boarding to remove over 100 bags of trash from Ka’ehu Beach. Ka’ehu Beach is located a few miles west of Kahului Harbor on Maui’s north west shore. The beach is a nesting site for endangered Hawaiian green sea turtles (honu) and excellent fishing is found just offshore. 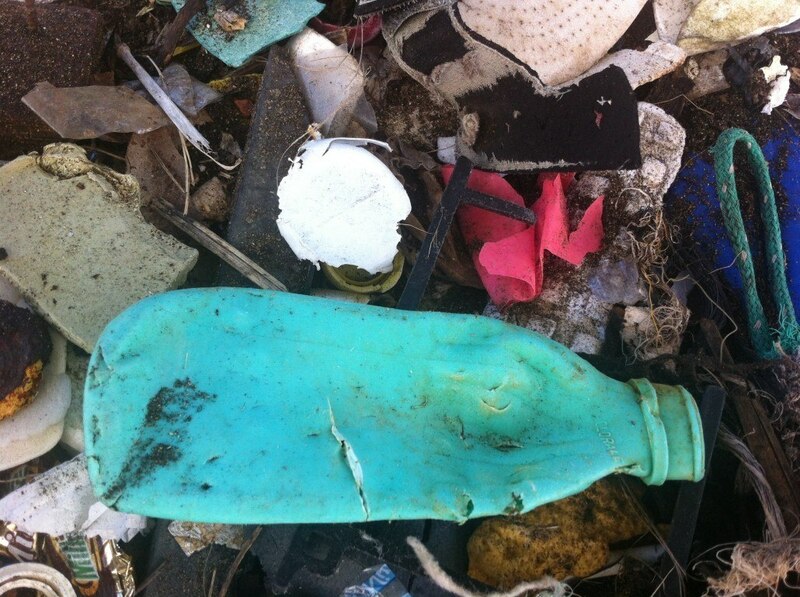 Less fortunate is Ka’ehu’s designation as a marine debris “hot spot”. Unlike beaches on Maui’s leeward coast (like in Lahaina or Kihei), Ka’ehu’s shoreline is oriented towards large, oceanic currents that carry millions of tons of debris. Strong trade winds blow this debris towards the Hawaiian islands where it combines with local currents. The combination of currents and wind then distributes the debris to exposed beaches such as Ka’ehu. Thousands of pounds of marine debris wind up on Kaehu’s shoreline each year, much of it having traveled thousands of miles across the Pacific Ocean. Debris from the 2011 Japan Tsunami has been confirmed at Ka’ehu, and beach cleaners regularly find floats, buoys, and nets from West Coast fisheries. 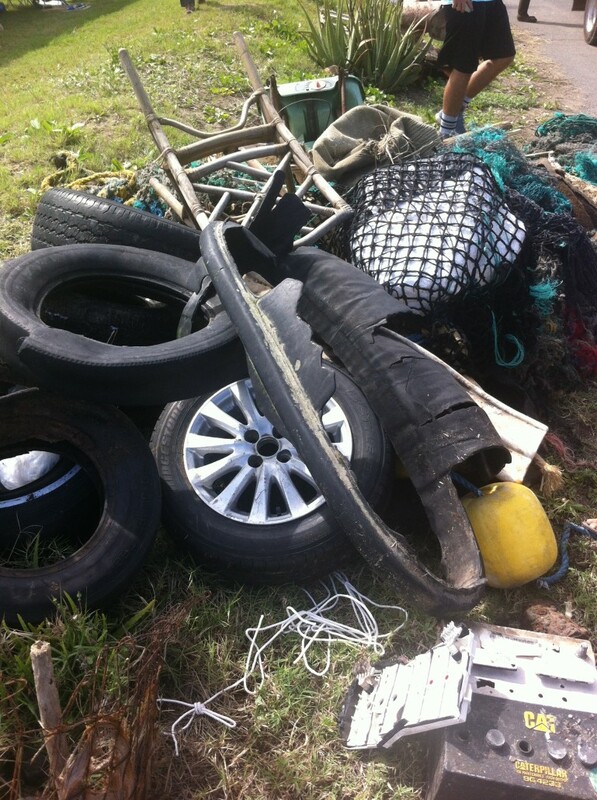 Large items such as tires and car parts, in additional to smaller household items, are also dumped along Ka’ehu’s shoreline. Marine debris is defined as any man-made waste that has deliberately or accidentally been released in a lake, sea, ocean or waterway. 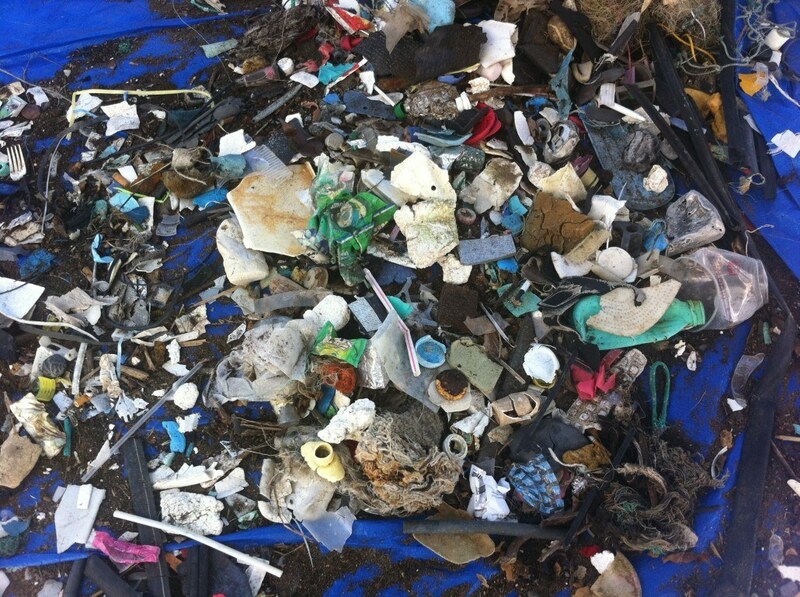 There’s no size limit to marine debris, with pieces ranging from the smallest plastics to capsized boats. Marine debris enters the ocean through a variety of sources, whether it is trash left behind by beach goers or rubbish that is carried out to the ocean by storm drains. It’s important that people understand that our trash never really goes away – it just ends up somewhere else, whether that’s a landfill or the ocean. Plastics are the most common type of marine debris, due largely to their strength and inability to break down in the environment. In fact, because plastics are created from petroleum, they will never fully return to the environment. Over time, the sun breaks down plastics into smaller and smaller pieces that are then ingested by wildlife such as turtles, fish, and seabirds (just to name a few). Plastic pieces hang around in the environment for an untold number of years, passing between countries, throughout food chains, and across ocean basins. Launched in 2011 on the island of Oahu, Sustainable Coastlines Hawaii believes that everyone plays a role in reducing marine debris. Through a combination of hands-on beach cleanups, outreach, and education, Sustainable Coastlines is helping stem the flow of trash into the oceans one coastal community at a time. 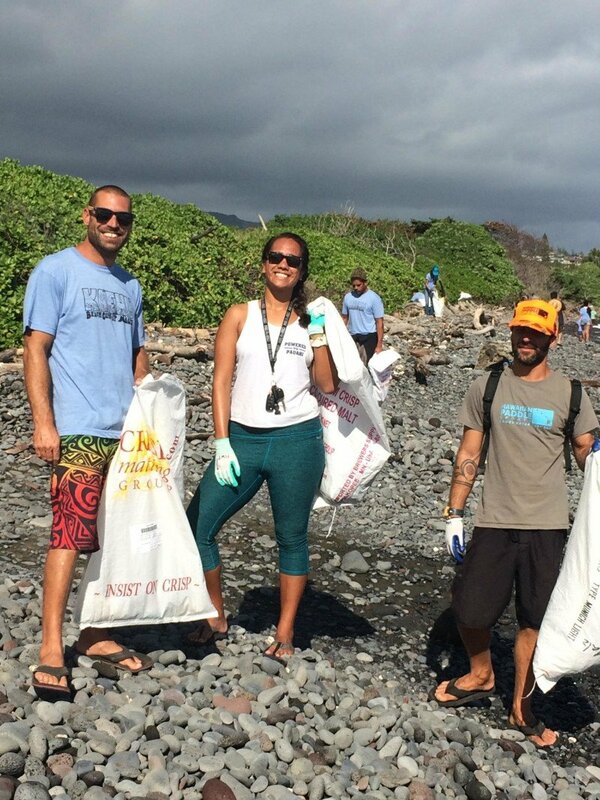 Beach cleanups play a key role in Sustainable Coastlines Hawaii’s mission to spur coastal communities into action. 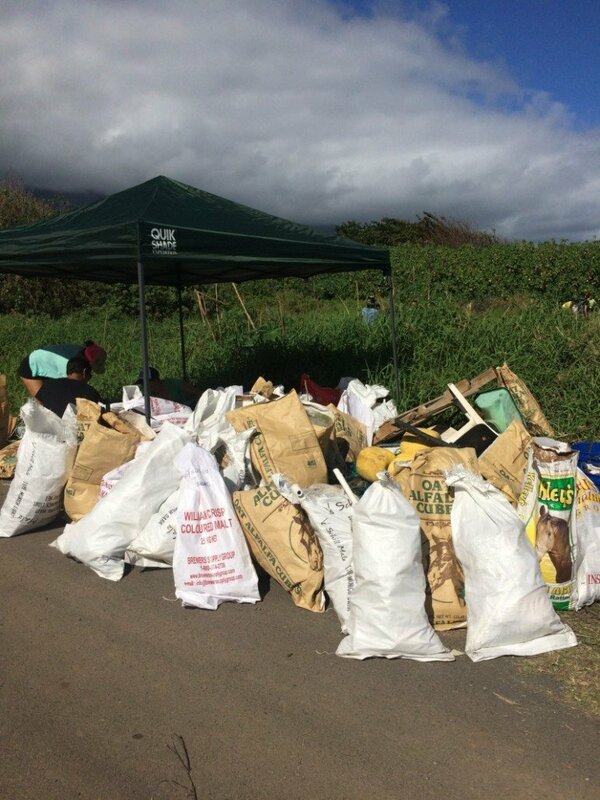 Unlike traditional cleanups, Sustainable Coastline Hawaii cleanups are all day, community affairs complete with live entertainment, food, outreach booths, and of course, trash removal. 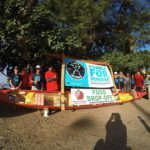 It is through these large-scale cleanup events that Sustainable Coastlines Hawaii creates a global network of ocean stewards. To combat plastic pollution, Sustainable Coastlines Hawaii has partnered a number of an environmentally conscious companies to reuse the plastics that are collected during beach cleanup events. 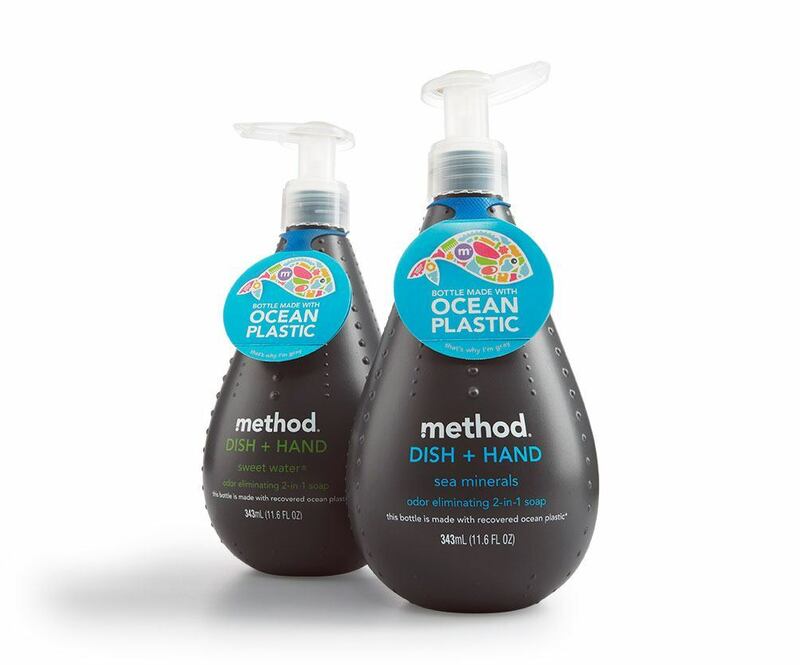 These plastic pieces are separated from other debris items and shipped to partner companies that turn them into recycled plastic products such as soap dispensers and skateboard decks. Through its special waste diversion program, Sustainable Coastlines has recycled an estimated 27,500 pounds of trash. 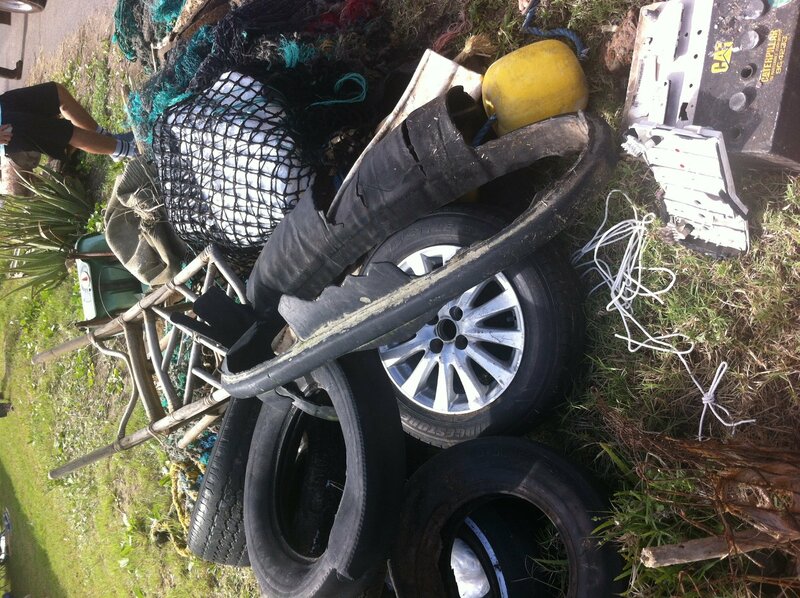 Sustainable Coastlines Hawaii supplements cleanup efforts with marine debris outreach and education programs. Team members travel to local classrooms, businesses, and events to teach people about marine debris, plastic pollution, and waste diversion. Resident artists also create compelling works of marine debris art that are used to engage the public. Sustainable Coastlines Hawaii even has a mobile Education Station fabricated from a refurbished shipping container. 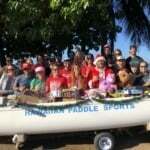 To date, Sustainable Coastlines Hawaii has hosted and educated nearly 17,500 participants at its events. 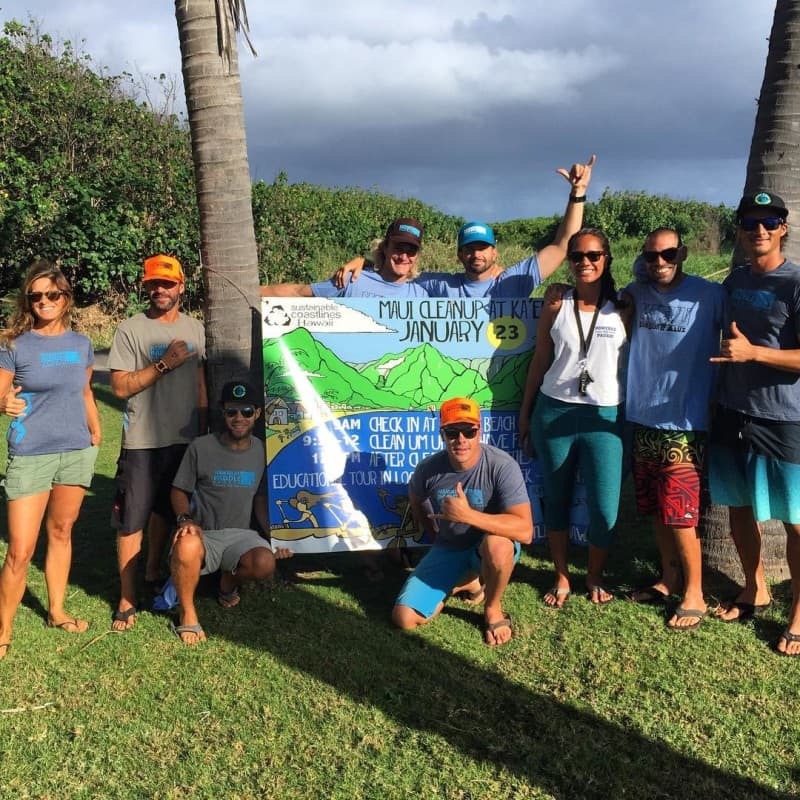 The Maui-based SHARKastics initiative hosts monthly beach cleanups at Kaheu on the 4th Sunday of each month from 9am-12pm.”SHARKastics” refer to hard plastics that have obvious bite marks as evidenced by jagged serrations and/or punctures. Sharks, in addition to fish, turtles, sea birds, and other marine animals, often mistake hard plastics for food. Plastics have been found in the stomachs of many marine animals, and can lead to starvation and eventual death. Currently, the SHARKastics initiative is collecting hard plastics and fishing nets in a 40 foot container. Once full, the plastics in the container will be recycled into an eco-fabric and used by Adidas to create tennis shoes! 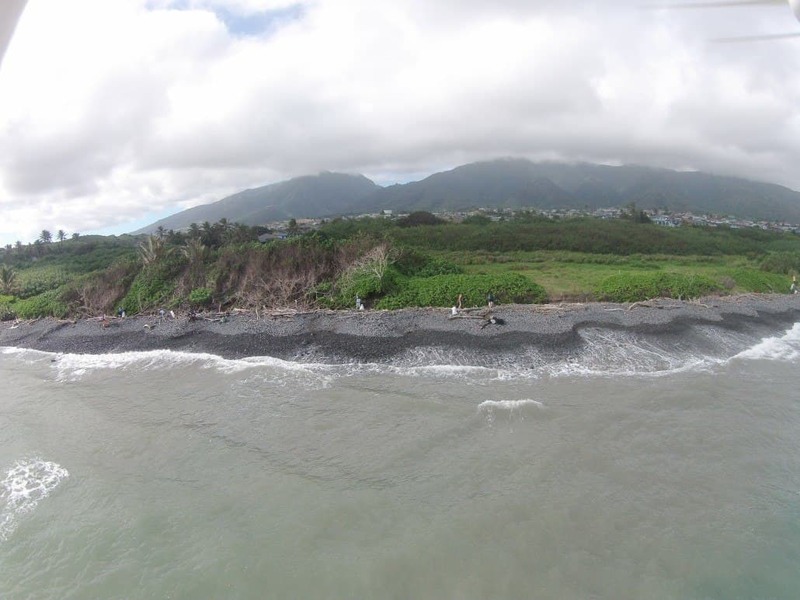 Join a Sustainable Coastlines Hawaii event – from beach cleanups to public presentations! 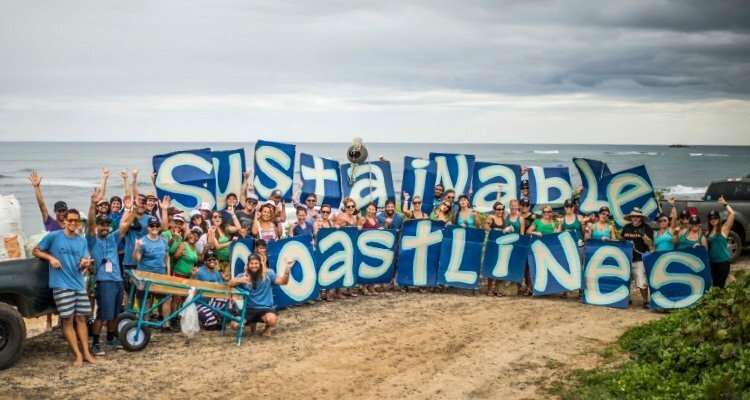 Donate to support Sustainable Coastlines Hawaii’s efforts. Sign up for the Sustainable Coastlines Hawaii newsletter for updates and event invites. Host your own beach cleanup with Sustainable Coastlines Hawaii’s DIY beach cleanup checklist. Learn how you can reduce your waste. 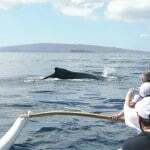 For more information about Sustainable Coastlines Hawaii, visit their website. You can also contact Sustainable Coastlines Hawaii by emailing [email protected] And don’t forget to following them on Instagram (@sustainablecoastlineshawaii), Facebook, and Twitter!